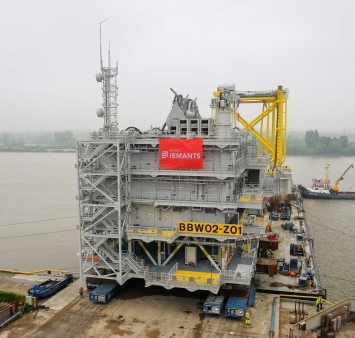 On Monday 30 May, Engie Fabricom and Iemants completed the load-out of the topside for the Burbo Bank Extension offshore wind farm at the ENGIE Fabricom’s Hoboken yard. 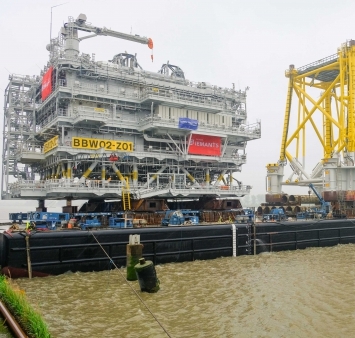 The topside was placed next to the jacket on the pontoon and is scheduled to leave ENGIE Fabricom’s facilities towards their final destination off the west coast of England in June. 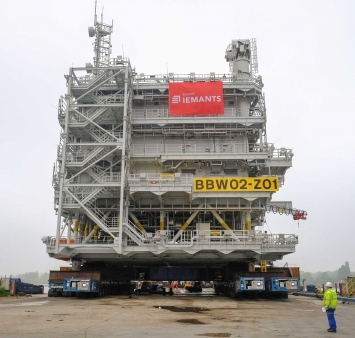 In 2015 the consortium ENGIE Fabricom and Iemants were awarded the contract by the Danish energy company DONG Energy for the construction of 5 Offshore Wind Substations, generating approximately 1500 MW, enough to power over 1 million households with renewable energy.